1. 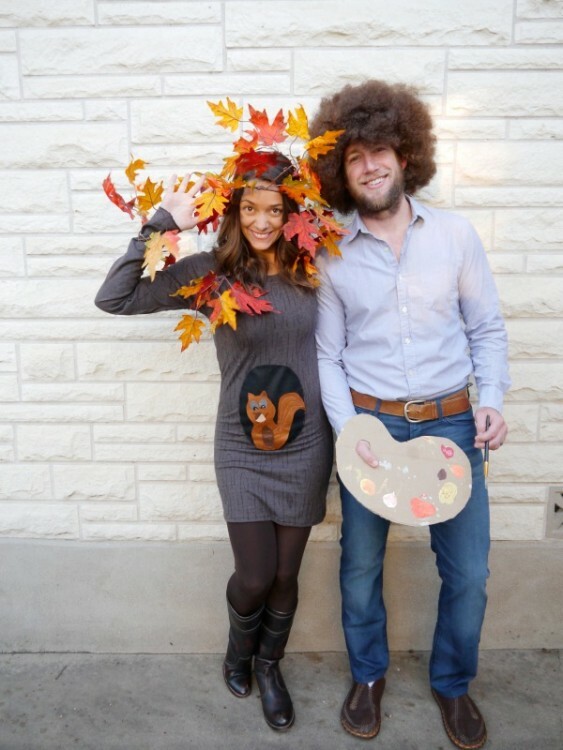 Bob Ross and Happy Tree – The best part is the costumes are pretty dang easy to make. 2. 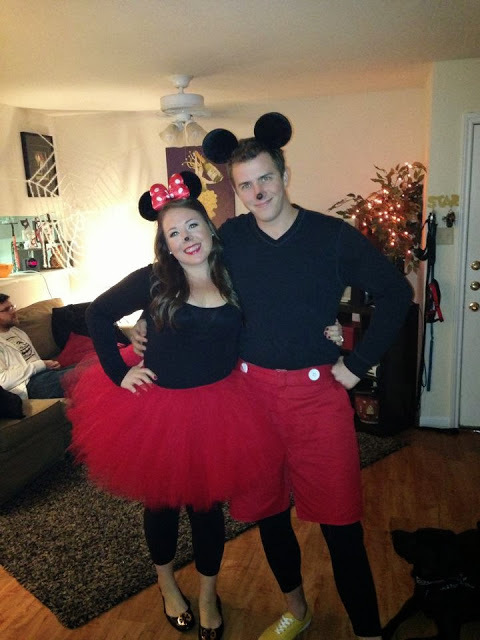 DIY Minnie and Mickey Mouse – A classic! 3. 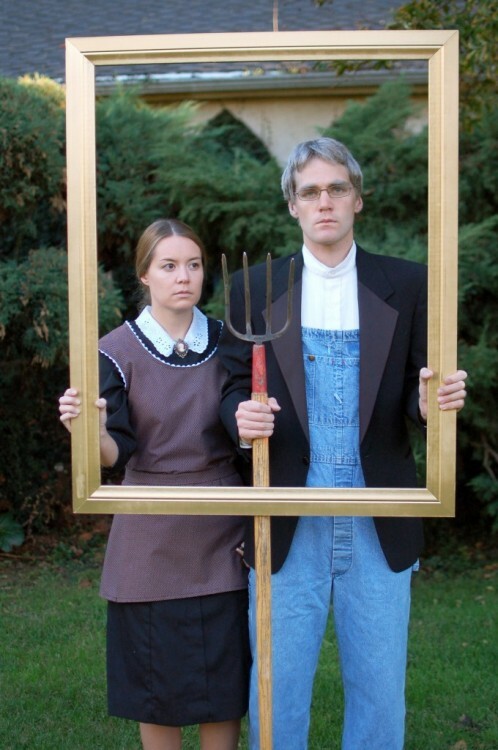 American Gothic – Re-create the famous painting with this hilarious costume! Just remember that YOU have to keep a straight face. 4. 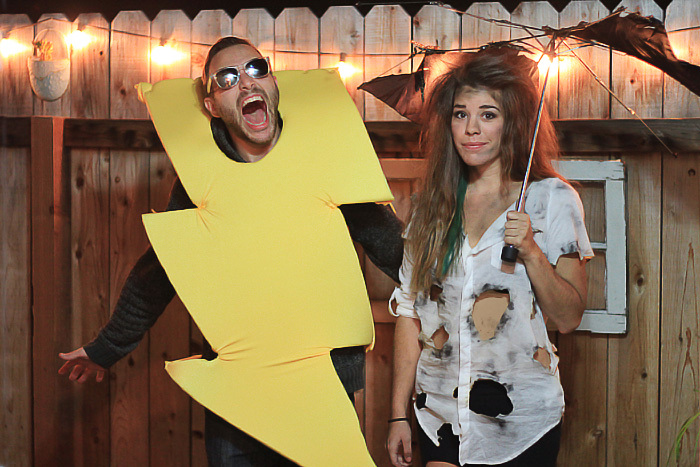 Struck by Lightning – Love this combo of lightning and someone struck by lightning. 5. French Baker and French Wedding Cake: Consider yourself a bit of a Francophile? 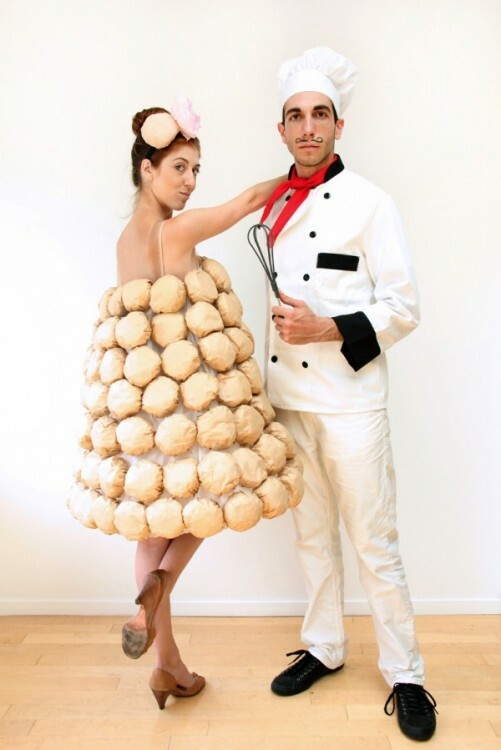 Then dress yourself up as a croquemboche and get your beau to dress as a baker! 6. 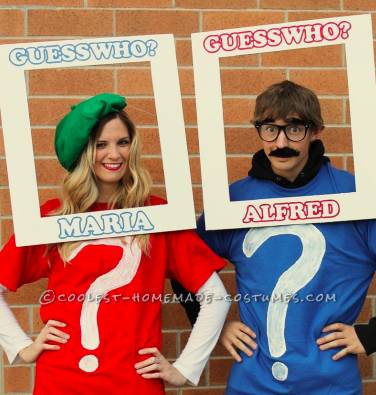 Willy Wonka and Golden Ticket – Very creative! 7. Legos – Everything about this is awesome. 8. 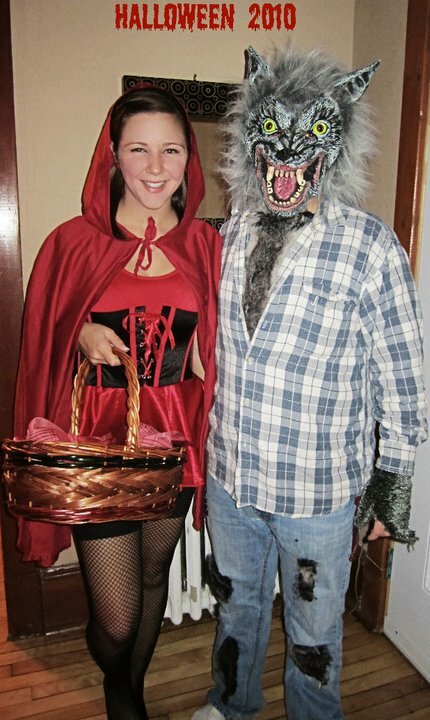 Red and Wolf – Bring the fairy tale to life with this great costume combination! 9. Guess Who– I love this! 10. 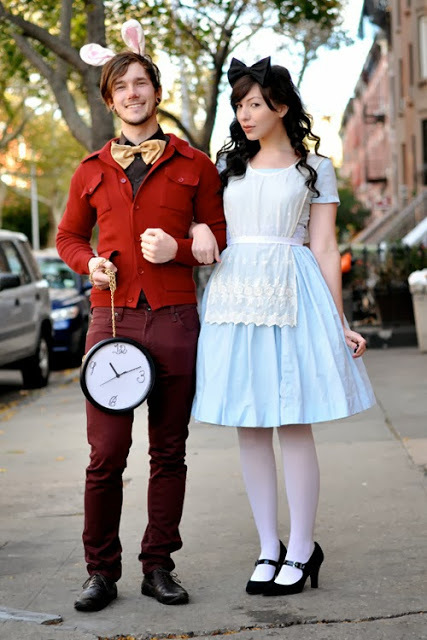 Alice & the White Rabbit – This is so cute! 11. 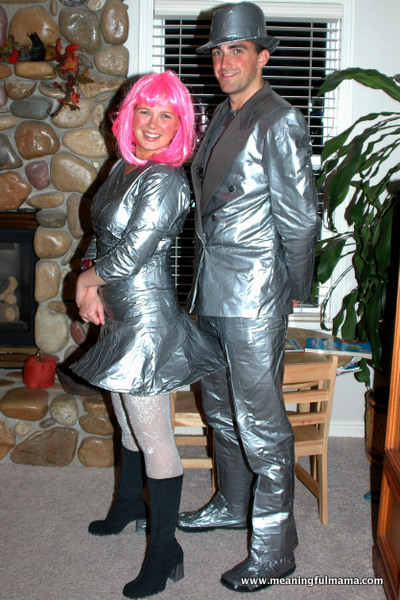 Mr. and Mrs. Duct Tape – Wow! 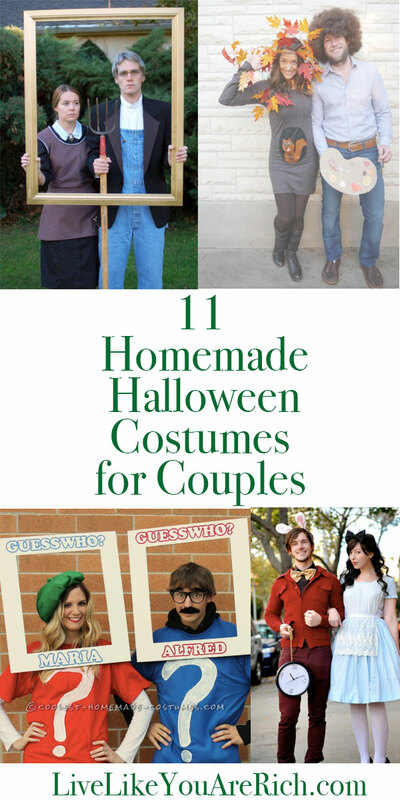 This must have taken awhile to make! For other ‘living rich’ and financial tips subscribe, like me on Facebook and follow me on Pinterest. These are so cute! I hadn’t seen a lot of these before. Thanks for the fun ideas!